The kitchen cabinet always features the drawers. 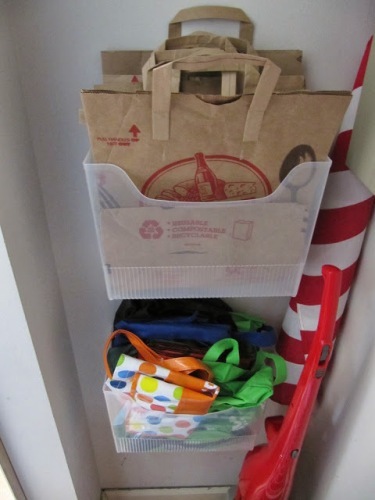 If you have empty drawers, use the space for holding the different types of kitchen bags. You can fold the kitchen bags and place them one by one inside the drawers. Make sure that the placement of the kitchen bags are in organized condition. If you have an unused tissue box, you can use this item to hold the kitchen bags. The various types of plastic bags can be put neatly in the tissue box. You can use it as a part of the kitchen decoration if the tissue box is made in decorative design. For instance, you decorate the top of the kitchen with ribbon or beads. If the kitchen bags are made of thick fabric, you can put them inside the wicker basket. The basket provides enough space to hold a lot of fabric bags. Place them in organized ways so that they look tidy. Look at the ideas on how to organize kitchen bakeware here. You can purchase the long cloth tubes. 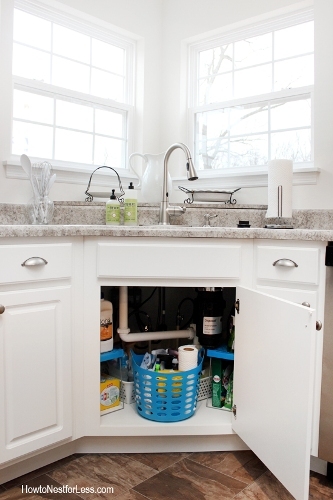 You can locate the tubes at the bottom part of the kitchen sink. 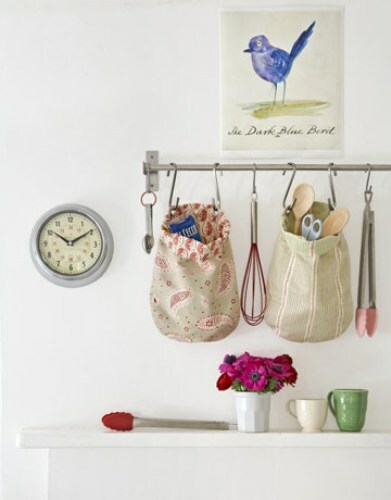 Or you can place the tube inside the kitchen pantry or kitchen wall to hang the kitchen bags. 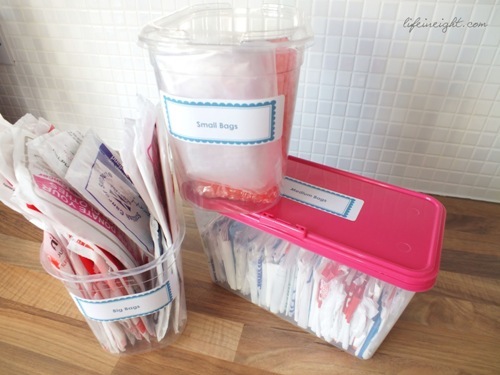 The last option for organizing the kitchen bags is by putting the pieces inside the storage bins. The bin is large enough to accommodate a number of plastic and fabric bags. The broken bags should be removed from the kitchen to give free space for other bags. Find ways on how to organize kitchen bowls here. 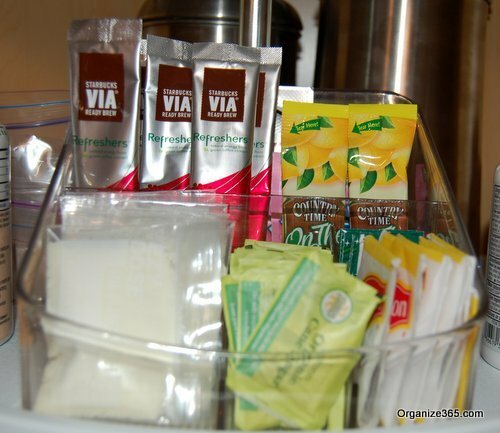 Do you like reading ways on how to organize kitchen bags? If you have a lot of baking pans, use the following tips on how to organize kitchen bakeware below.